The Bride of Christ is being made ready to behold the unveiled glory of the Beloved, and in the perfect intimacy of perfected love, worship Him forever with all of her being. Is this who we are? Are we a Bride seeking the glory of the Beloved, worshipping Him with all of our heart, soul, mind and strength? If this is our destiny, is there any higher priority in our churches than regaining a heart of true worship? If you want to understand more about this, grow in your knowledge and understanding of worship, then you will love this book! Wesley Scott Amos is a pastor and teacher, worship leader and songwriter. The consistent theme of his Parable of the Dancer musicals and his previous book, "A Bride Made Ready," is the Beloved pursuing, wooing and preparing His Bride. 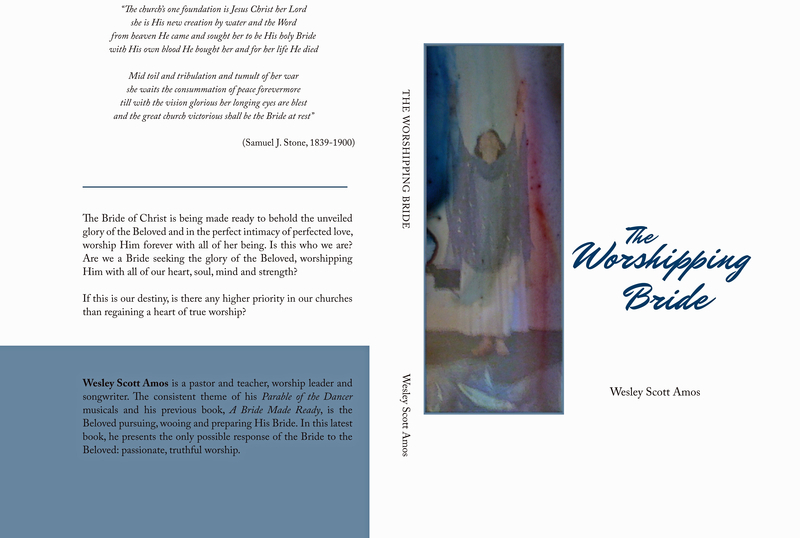 In this latest book, he presents the only possible response of the Bride to the Beloved: passionate, truthful worship. Order this book today! You will be so glad you did. This book is used during Level 2 in the Dancing For Him Ministries' Online school. Simply go through the normal ordering process. When you get your receipt, there will be a red link that will say, "Download Now." Just click on that and the PDF file will be downloaded to your computer. However it is wise to keep the email you will receive that says, "DOWNLOAD NOW."